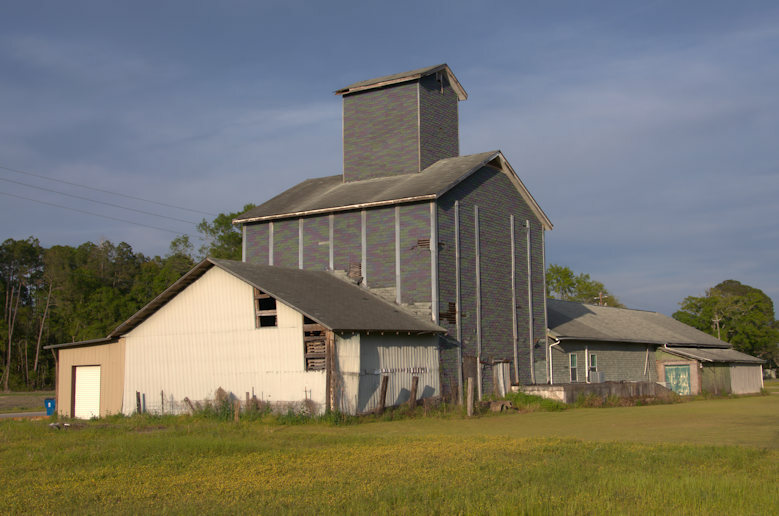 Wooden grain elevators are rare in Georgia and this one in Alma has always been a favorite. It is now part of a larger structure that includes a church. 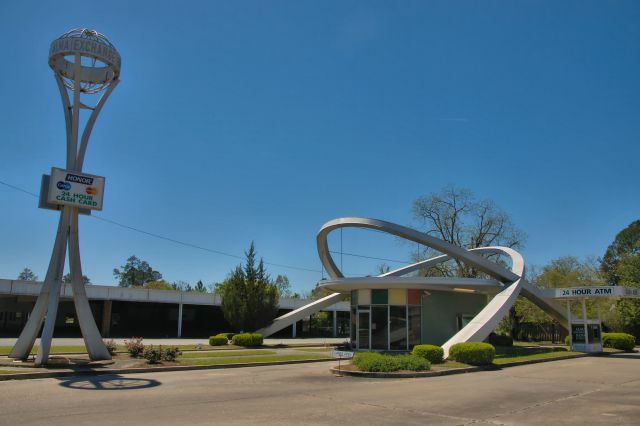 Locals sometimes call this drive-thru branch of the Alma Exchange Bank the Jetsons Bank for its Space Age appearance. 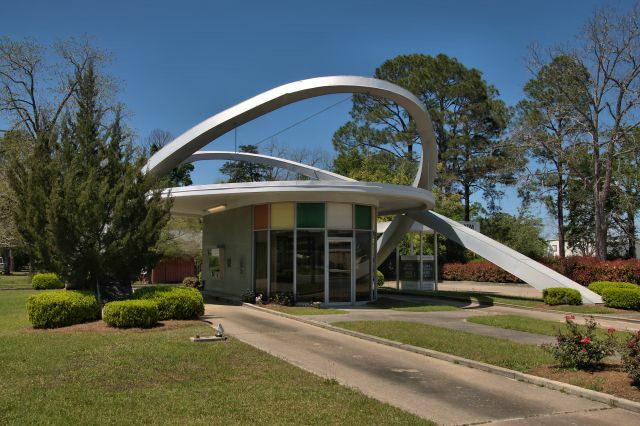 The architecture is actually a style, popular in the 1950s and 1960s, known as Googie. 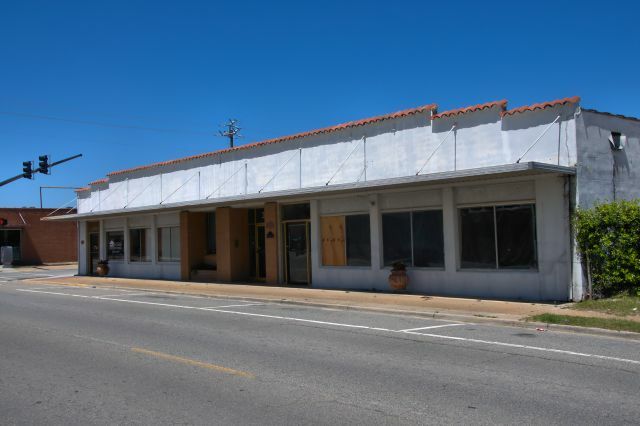 This bank had a twin in Sylvester that has since been demolished. Recently, there has been some concern that this facility could be demolished, but I can’t verify anything beyond rumor. It’s a real landmark that Alma should attempt to preserve. Photographers from all over the country have visited and photographed it. 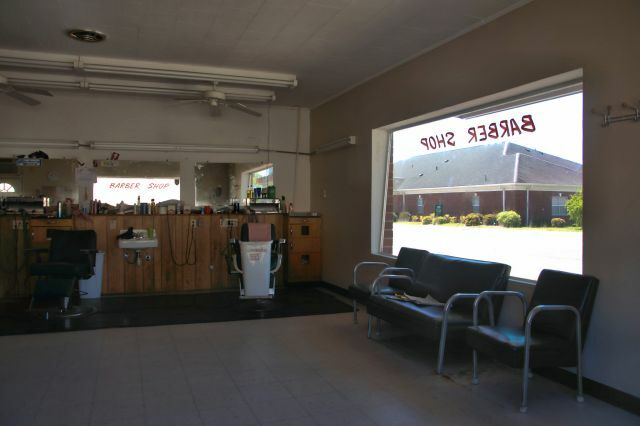 This is an excellent example of an old time barber shop. 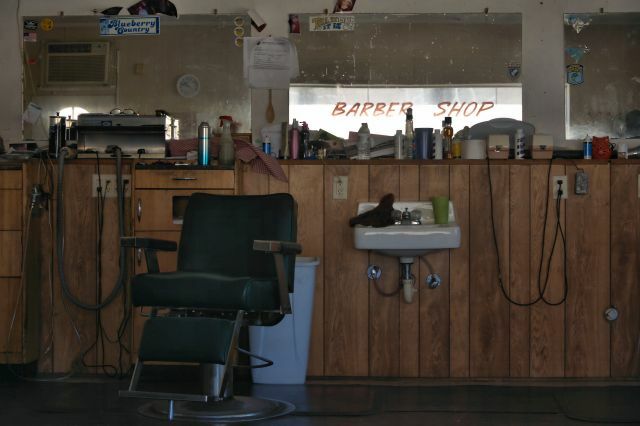 I got my first haircut in a place like this. 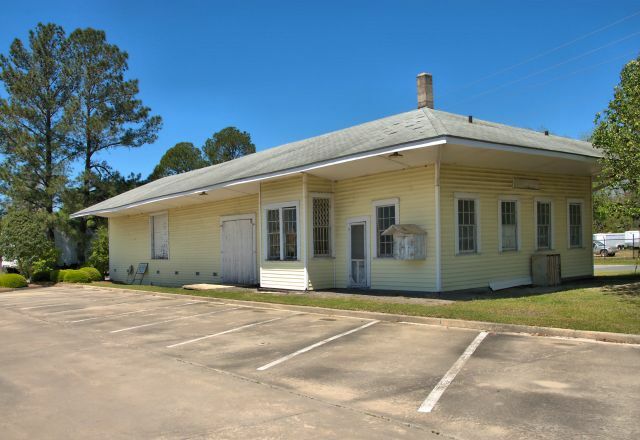 Built for use by a branch of the Atlantic Coast Line Railroad, Alma’s depot has played an integral role in the history of Bacon County. 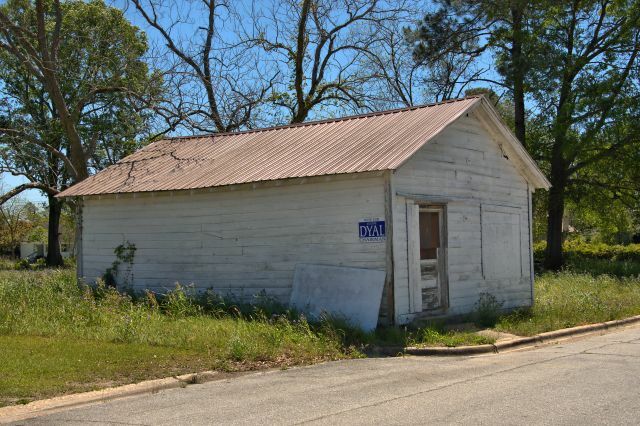 A local credit union, which later became the Alma Exchange Bank, was founded here in 1930 and was housed in the depot until 1939. Though some restoration has been done, the building is not being utilized today, as far as I can tell. Read more here. 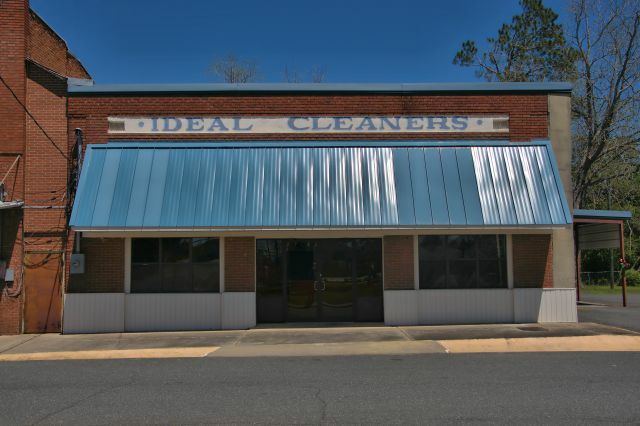 This is located next door to the Bacon Lodge.